Hello! Thank you for checking out Leighty Photography! 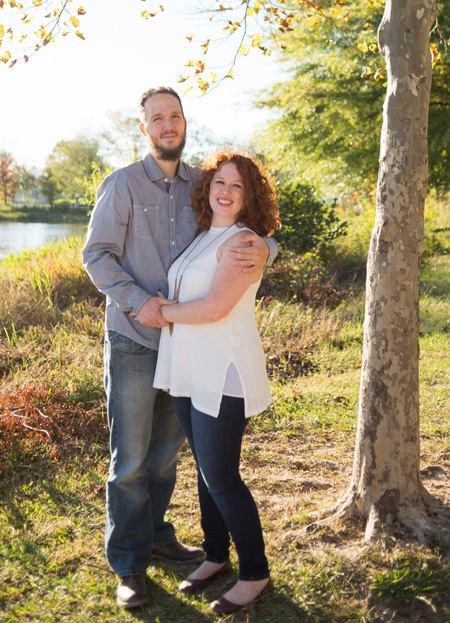 We are Brian and Cara Leighty - a husband and wife photography duo based in the suburbs of Atlanta, GA. We are so excited to meet you, and hope that you will enjoy viewing our work! But before all of that, let us properly introduce ourselves! I was born & raised in Keene, NH and Brian was born in California. His dad was in the Air Force, so they made their way over to Atlanta from CA when he was about 6 years old. So, he's pretty much a GA Peach ;) I've lived most of my childhood between the boonies of New Hampshire & busyness of Central Florida. I guess you can say I've "experienced it all" temperature-wise. We were married on a beautiful, crisp fall day (in Florida) on November 10th, 2007. Fast forward to 10 years later, we now have two gorgeous children: Jonah Noel (2013) and Ellia Gianna (2015) & are living the DEBT-FREE dream (which includes our house)! Both Brian and I went to school for Broadcast Production/Video. Brian has always been into the tech-side of things; while I have been into communication. I enjoy social media, marketing, advertising, building relationships & meeting new people. Brian loves buying new equipment, learning new programs & is a sucker for some tech news! Coming from a background in video, it only seemed fitting that we would have a natural attraction to photography. That is why in 2010, we started Leighty Photography! But let's slow down just a little bit. I wanted to take this time to explain to you the reason WHY we even do what we do here. It's really quite simple. Just one word: Jesus. You see, Brian and I have a deep love for our Savior, Jesus Christ. He's the reason for life, He's the reason for our salvation & He's the reason we do what we do. We have had the opportunity to meet so many amazing, beautiful, loving & fun people all while running this photography business. Furthermore, God has been our driving-force through it all! We are so grateful for the many people He has allowed us to Bless through the years & we owe it all to Him! Thankful can't even describe what we feel for the Lord and the Blessings He has bestowed upon us; because we wouldn't have ANY of this without Him! But we also want to thank YOU for allowing us hold a tiny part in some of the most amazing moments in your lives! We've seen so many beautiful engagements, marriages & families. And we're so thankful our clients allowed us to be there for those special moments! So, while you're hanging out, why don't you take a look around on our site and let us know what you think! You can also follow us on Facebook, Instagram & Twitter for the latest in everything Leighty Photography!